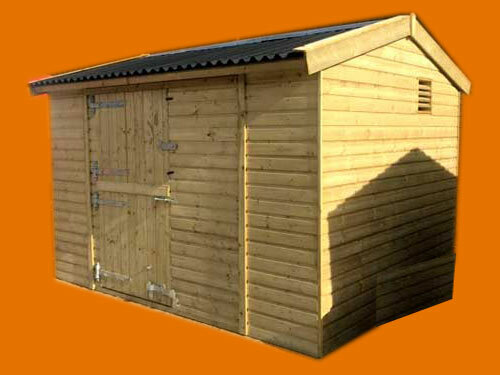 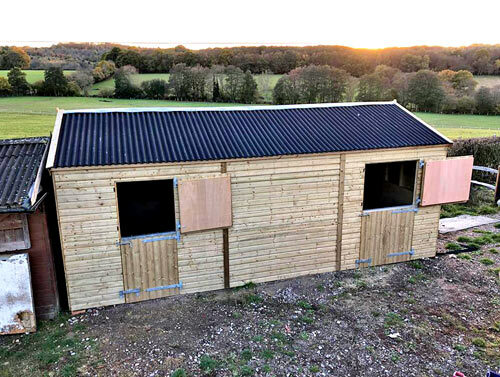 Due to our expanding garden buildings and timber business we are now proud to offer a range of equestrian stables and field shelters. 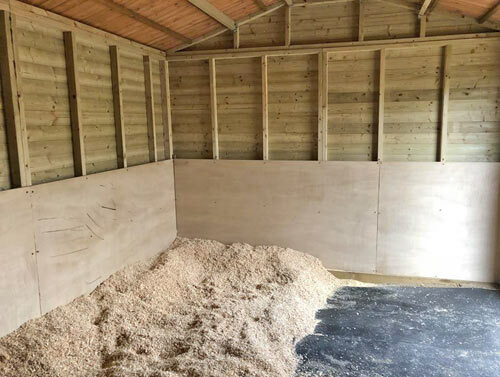 At Topwood we are large enough to manufacture and construct a range of equestrian timber buildings and small enough to know personally each and every one of our customers, special attention to client care is our upmost priority when it comes to delivering top notch garden and equestrian buildings. 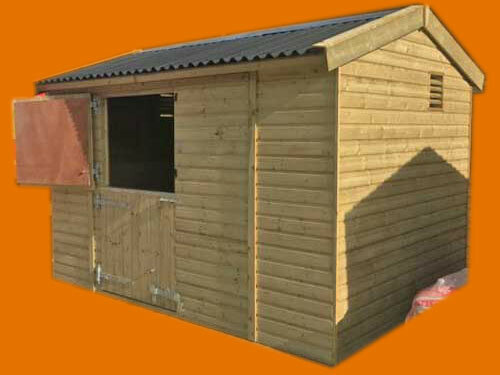 We make the whole process of buying an equestrian building easy, from order to manufacture, delivery and installation. 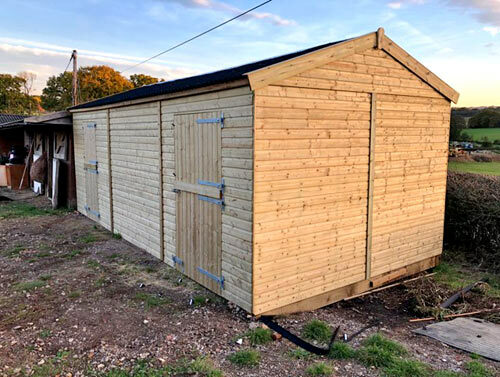 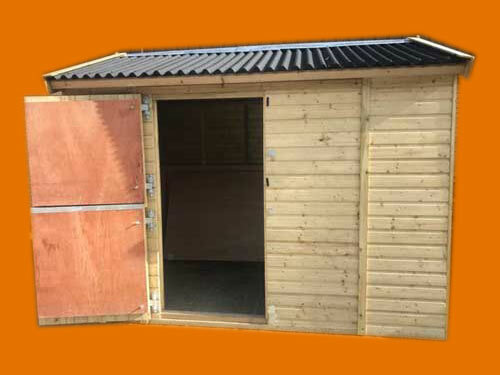 Equestrian timber stables are manufactured to the highest of standards and with a range of bespoke designs and many available optional extras too suit each individuals needs and budget. 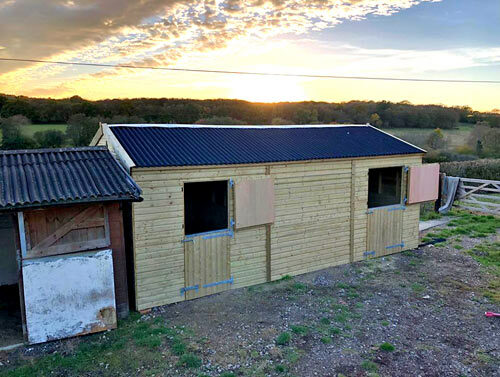 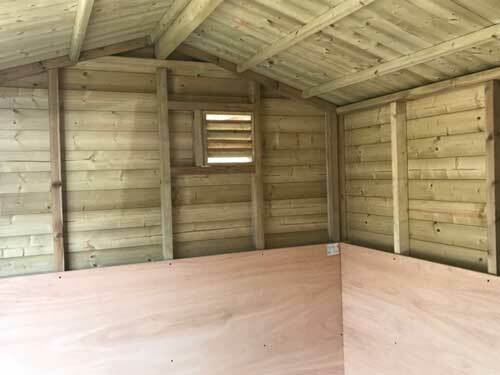 We strive to make our equestrian buildings and field shelters as cost effective as possible, working within your budget ensuring you the best possible deal. 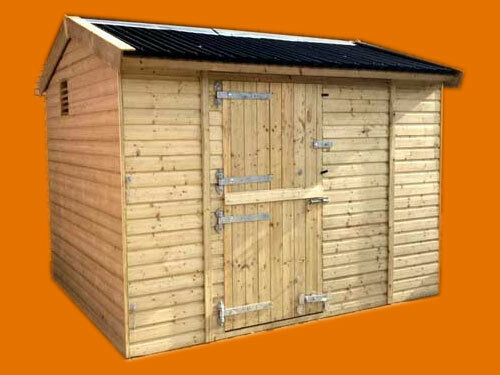 Our continued success and reputation has been built upon providing high standards required by all our customers, ensuring 100% satisfaction at all times. 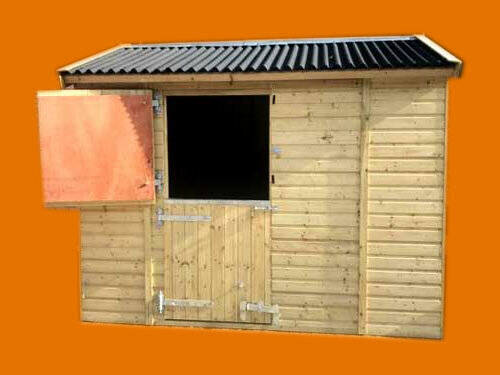 Fully timber clad roof with Onduline roofing sheets. 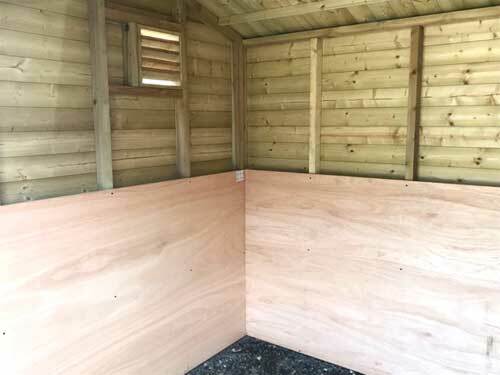 18mm WBP plywood wall boards.